I have been posting here for quite some time, however I opened this account to release this product. Awhile back through discussions here I found I wasn't entirely happy with the mounting options available for the M4. I decided to design one that met the ideals I had in mind, had a few prototypes made, then once I was happy with the results I had these made hoping that others find value. Accommodates both 1 inch and .8 inch lights. Test fitted with both Surefire E Series, Scout, and 6 Series lights. Rotation Limited Quick Disconnect Sling Boss. 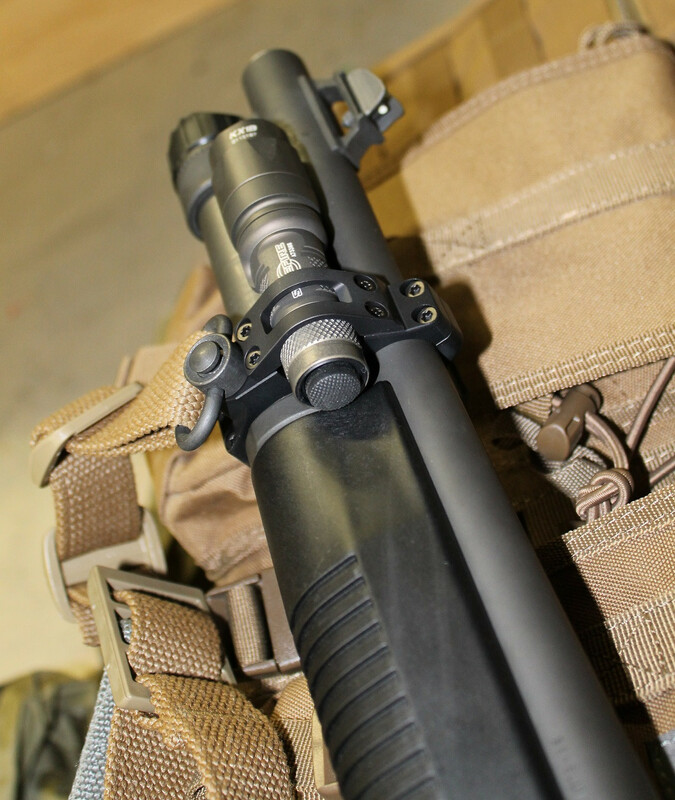 Extremely low profile rail with snag free design provides an option to mount an aiming laser on axis with the barrel. Test fitted with the Lasermax Unimax series. 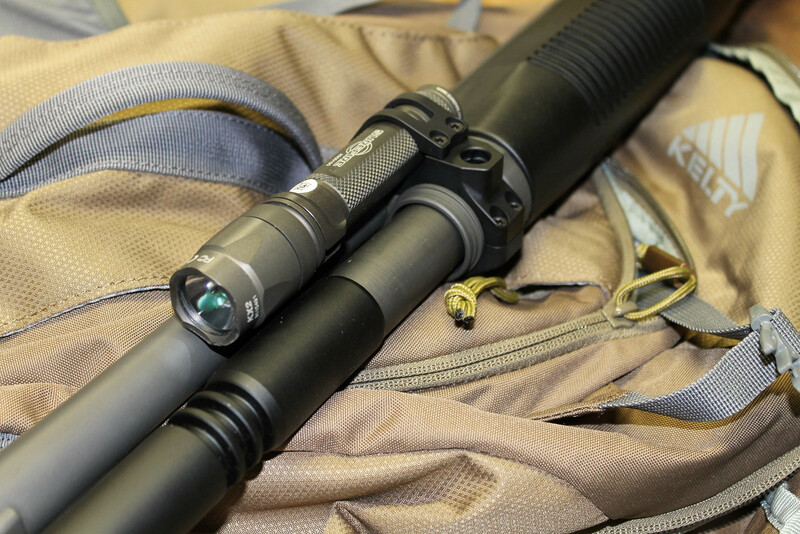 Ambidexterous system, you can mount the light and QD sling boss on either side and the rail on the opposite side. Extremely Light Weight at 2 Ounces. No bulk design, keeping everything about it as low profile as possible. 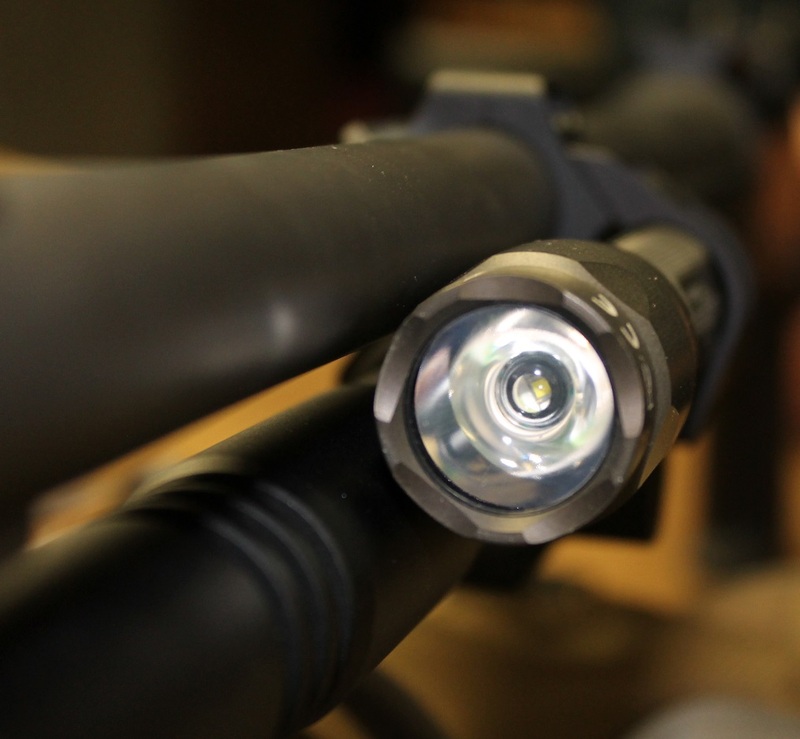 No other product keeps your light in as tight to your firearm chassis. This mount does not interfere with the disassembly and assembly of your M4, unlike mag tube clamps that require tools to remove for field stripping the firearm. 7075-T6 Aluminium, Type III Hard Coat Anodized. High Quality Torx Fasteners. Made in the United States. These are not inexpensive to make properly at the volume for this niche market, but I am able to offer them for less than other options for the M4 that offer less function. - Retail on a railed hand guard for the M4 is $230 and you still need mounting accessories for the features you desire, such as light, sling, etc. - The M4 is a niche market and those who want high end mounts for it are a niche of a niche, so production volumes are low. - A complete mount with choice of .8in or 1in light cradle will retail for $195. - With both cradles included the mount will be $225. - Individual cradles will be available for $45. At this time I am offering a significant discount off of these retail prices on the AVA Tactical website. Please see the website for details. This is subject to change at any time, should a retailer pick these up they may discount and I won't be able to undercut them as the manufacturer. You can also email at any time - [email protected] - and we can conduct a transaction that way. Huge Thank You to StrangerDanger for his input during prototyping. In fact, it was our dialog here that kept my mind stirring about how these problems could be solved on the M4 that was the genesis for this mount. All designs are Patent Pending. Taking requests for more information or pictures, just let me know. Good luck on these! I'm happy to see more people make stuff for the m4. Neat! Thoughtful design and the part actually looks good....very nice engineering. "Ooooo Ooooo... Mr. Kotter... pick me"
Awesome to see finally in production. I've been using one of the prototypes for the past six months or so. It's perfect. Everything you want from a light mount. It's even better than my handguards I made. No tools are necessary for disassembly of your weapon. The mount and light simply clamp around the rear barrel hanger. It's impossible for it to slip or rotate. The activation button is right where you want it. Just ahead of the handguards and held in tight. Further value is the anti rotation QD socket. The mount itself is everything I envisioned and more. I just didn't have the technical skill or resources to make it happen. AVA listened to all my whining about dehorning the mount as much as possible and upgrading to torx fasteners. Sure, the mount system isn't cheap, but it'll replace a pound of crap. It's also a CNC machined part set milled out of 7075 aluminum and anodized to death. Type III if I recall. I have no financial stake in this product. I was just glad to help produce an item that works in the real world. I Like! Like to be on the list.... Been using BLAM and would love this instead. All features work it seems. Especially not having to use tools to break gun down... Nice job! AV, I'm not sure you are getting my, (our) PMs... Please advice. There might be a problem with you having the .com in your tag name... My sent PMs are not showing in my sent folders for you.... Let us know because I'm interested as well.. Thank You all very much for the interest. I am receiving PMs, all replied so for. I believe you have to tell the system here to save you a copy in your sent items manually or it will not do so. Finally!!! A solution to the eternal problem!!! Looks Good!! Looks really nice! I'm guessing we'd still need to loosen the barrel clamp in order to remove the barrel, but that's not much of a hassle for the added functionality. I really like the addition of the sling mount incorporated into the design. I want to be very clear about this! 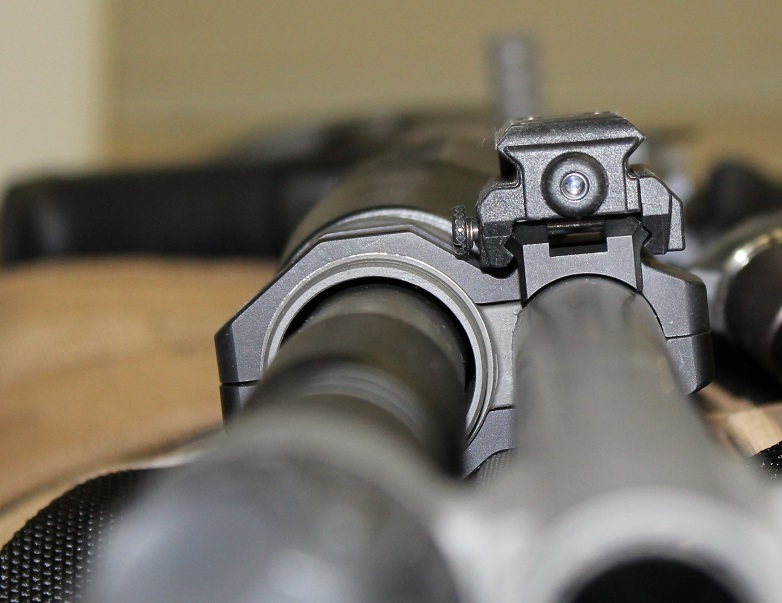 You do not have to loosen, or otherwise remove this mounting system to remove the barrel. That is the beauty of the design. 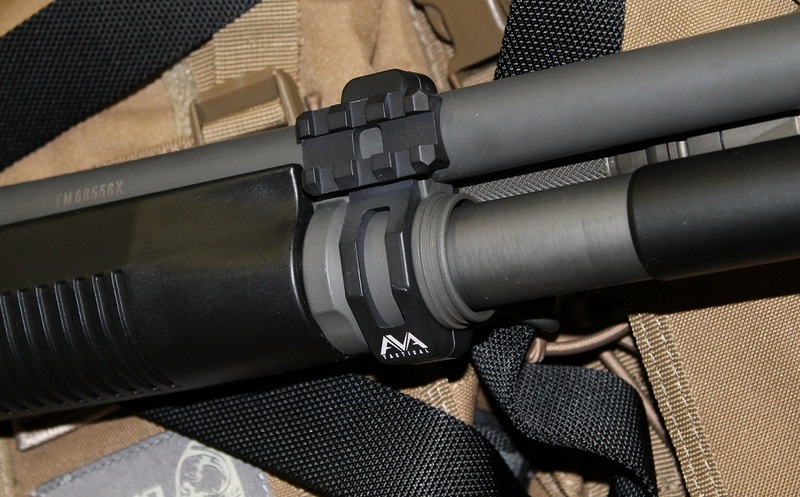 This mount attaches to the barrel and rear barrel hanger which is all one solid part. To field strip your firearm you follow normal procedures. 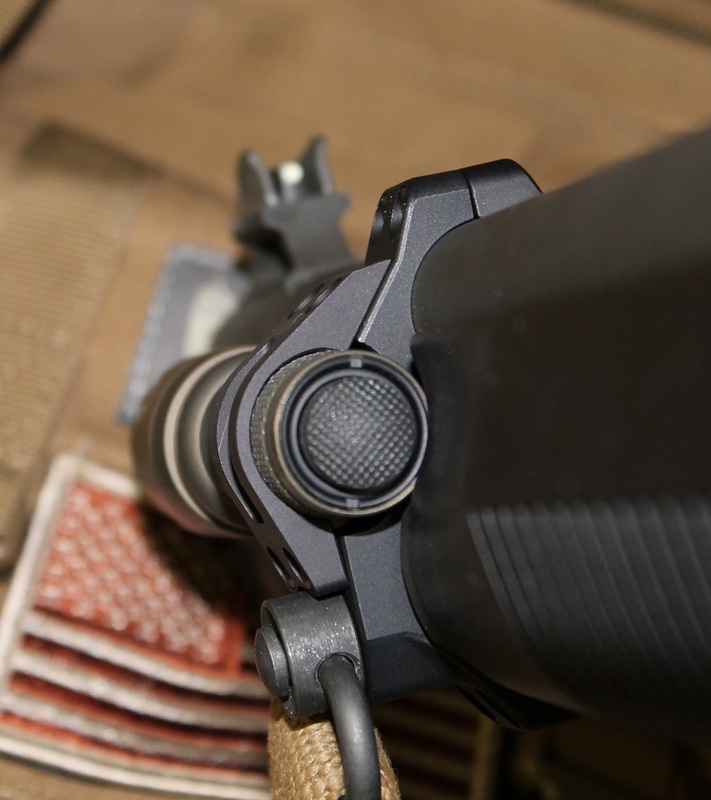 That is: safety check, unscrew mag tube retainer, pull barrel - this is where your AVA Tactical mount slides right off along with the barrel - and then you continue with your operation. The reverse is true as well. BONUS: If you use a aiming device on the rail, it maintains zero. I appreciate everyone's feedback here, thank you for taking a look. If there are any tips on how I can clarify the features of this product to more effectively communicate them I am all ears! Does it tighten around the barrel, or does the barrel merely pass through? Have the harmonics loosened the mount any, or worn the finish from the barrel or cause rub marks, etc? How many and what kind of rounds where fired before opinion on the above was formed? 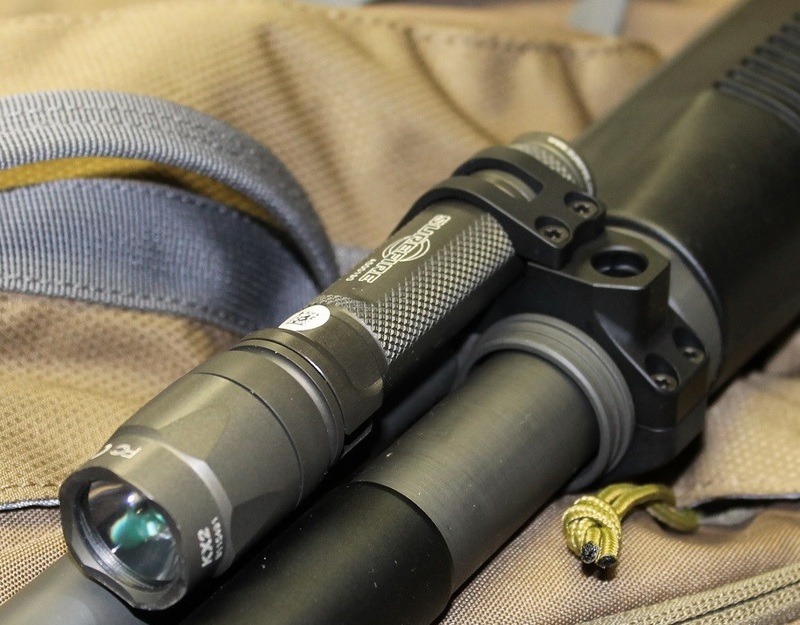 Also, is there a version which direct mounts surefire scout lights? I'm sorry if I asked anything previously answered, I'm out of town on my mobile. Looking at some land. There were three prototypes that were suitable for actual use. They were mounted on three shotguns in various places across the United States. I can't comment on barrel wear for the others, although Mr. Danger was one of them and he might be able to comment. For my setup I ran over 2k rounds through it with the mount and even had some folks at a tactical shotgun class run my gun to give me feedback on the mount. There was no appreciable wear on my system. It will have to be torqued to spec and appropriate thread locker used to ensure proper function of course. Had there been wear, I was going to offer Helicopter Tape or 3M Protective Tape to act as a buffer and in fact that can still be done. For those that are especially concerned about the finish on their M4, application of an appropriate tape will be piece of mind as it would with any barrel clamp system. 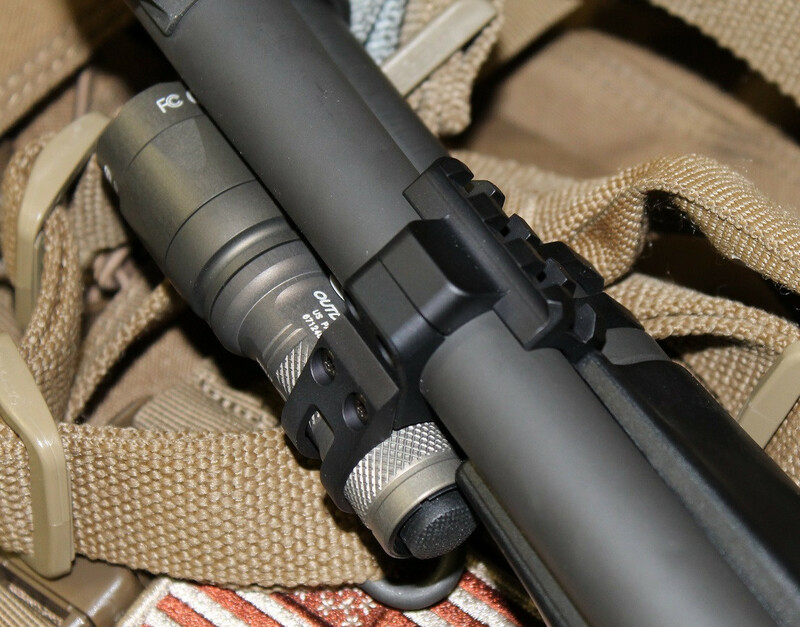 Keeping in mind, barrel / magazine tube clamps on shotguns for mounting systems are common place. I can probably name 10 manufactures of such mounts. Many factory Remington and other manufacturers even ship their factory shotguns with barrel/magazine tube clamp style mounts. The biggest difference with the AVA Tactical mount is that it does not clamp to the magazine tube - it clamps to the rear Barrel Hanger instead which prevents it from interfering with field stripping the firearm. I would argue the fact that this is custom for the M4 also allowed the design to tighten things up keeping everything high speed, low drag as well. There is not a barrel clamp system out there that keeps things in close to the chassis like this mount does. We can mount Scout lights, in fact StrangerDanger is running a Scout. There are details on my website on how to mount a Scout - you need a non-flared tail cap at a minimum and you get a better looking setup if you run a E series body with your Scout. However we cannot utilize the Scout mounting system directly at this time. It's not for lack of trying, however. I spent many days working on the Scout mount system and it just doesn't fit into the geometry of the M4 where the barrel hanger is very well. I can make a mount for the Scout if there is enough interest (Hundreds of Pre-Orders), but it will push the light out further from the chassis than I can get your E series body in there. I suspect most would opt to use a E series body once they were aware of the dynamic. I saw the kx2c head, it is 1.0". The new scouts and eb1 uses a 1.1", I believe. Will these new lights clear barrel? Those heads will undoubtedly have proper clearance. The 1 inch bodied 6 series was tested with a head clearance of 1.25in. No issues. Good deal. I am sorely tempted. Your product looks far better than the other options this forum has seen over the years. I received my production model unit from AVA Tactical today. I replaced my prototype model that I've been using for about five or six months. Upon disassembly of my prototype, there were minor wear marks present on my Cerakote finish. Personally I do not care, but others might. So if you're concerned about your finish beneath a mount, I would recommend using some sort of buffering tape. Cerakote wears easier than anodizing or phosphate finishes no matter what anyone says. You can see the minor burnishing in these pictures. No design changes would ever be able to avoid this. The barrel flexes under recoil.